What came first, the biriyani or the chickens? I have never been squeamish about knowing where my meat comes from. My grandfather and uncles made sure of that, and I have killed chickens and watched pigs being slaughtered and methodically broken down to be distributed among family and friends. In childhood, it was rare for us to have any meat that didn't come from a known and trusted source, be it from my aunt's farm or a local neighbour. There was a practicality to the killing of animals for meat, though. Animal welfare was not at the heart of it, and it was rare that humane killing was even a consideration. Animals were food, not friends. And while they were taken care of in the farms, they were never considered anything more than food sources, and this informed the whole philosophy of animal husbandry. It was a philosophy that trickled down to my generation. There was no sentimentality associated with eating meat from animals we'd raised or seen being raised. And while a huge portion of the country was vegetarian, it was down to religious beliefs and not necessarily animal welfare. It seems like a heartless way to look at meat-eating, but when you have a country of billions, it is a practical way of living. As a child, I didn't think much of it. Eating meat was a way of life in my Catholic family, and every Sunday, we religiously ate our chicken, pork and mutton curries. A quick look at this website will give you an indication of our love for meat. Every recipe had memories associated with it, be it our traditional pork curry or the more 'exotic' chili chicken, or North Indian taar korma. It was only when I moved to England, and met my vegetarian husband, that concerns for animal welfare, versus the practicality of eating meat became an issue for me. I still eat meat, despite my husband, daughter and son being vegetarians. But meat, today, to me is not just about eating anything that is available. The fact that I don't eat meat all that often anymore means that when I do eat it, I can opt for meat raised organically and to higher animal welfare standards. I know I am lucky, and I certainly know that I am privileged in this. But this post, to me, is not just about eating expensive, ethically raised, organic meat. This is a story about people with a mission – a deep and enduring passion for what they do and the way in which they see the world. Ron and Sheila Hamilton are not farming stock. 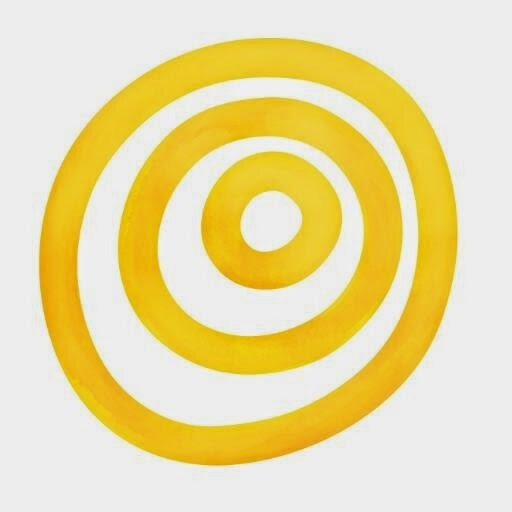 While environmentally conscious, the trigger for them to move to and start up Sunworks Farm was their daughter's severe food and environmental allergies. Like most parents would, they realised that they needed to not just understand the cause of these allergies, but make it point to be aware of the effect of food on her health. This awareness about food led them to Sunworks Farm. Ron and Sheila have strong opinions on being not just certified organic, but also certified humane. With a course on holistic farm management under their belts, they set about making Sunworks Farm, and the livestock they raised on it completely organic. 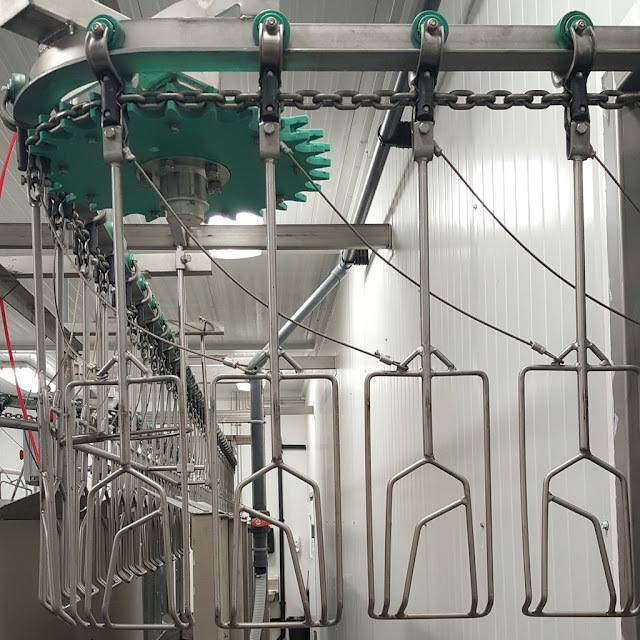 Once successful, they realised that there was a significant demand for organic meat in Alberta, and started selling in farmers' markets around the province. For Ron and Sheila, it is not just about livestock, though. It is also about a commitment to sustainable farming practices and to the land that they steward. All their farming practices are geared towards this stewardship, and they closely imitate natural practices which enables them to keep the land sustainable and conserved for future generations. This is consistent with their dedication to food security and to leaving a healthier world behind. Being certified organic is not an easy process, and it is to their credit that Ron and Sheila have stuck with their principles and stayed not just organic but also as certified humane. They are certified humane by the BC SPCA, one of the most stringent certifications in the country. Their commitment to humane and organic also led to them building their own slaughter facility on site, to ensure that the livestock they raise is not distressed by transport to slaughter and they can control the way in which their meat is processed. I'll be honest. I was truly impressed by Sunworks Farm. I've pretty much always bought most of my meat from them throughout my life here in Edmonton, mainly from Old Strathcona Market (thanks also to the fact that they have a share in Blush Lane Organic Market, which provides Sunworks Farm meat during the week). The chickens at Sunworks Farm are not free range in the sense they have shelters that they live in to protect them from predators and weather elements. They are, however, fully raised on pasture, and their shelters are moved daily, to ensure that they always get fresh grass to scratch in and eat. The turkeys and egg-layers are also similarly raised, while their beef is 100% grass fed during the summer. In the winter, the livestock is fed organic grain, alfalfa and hay. 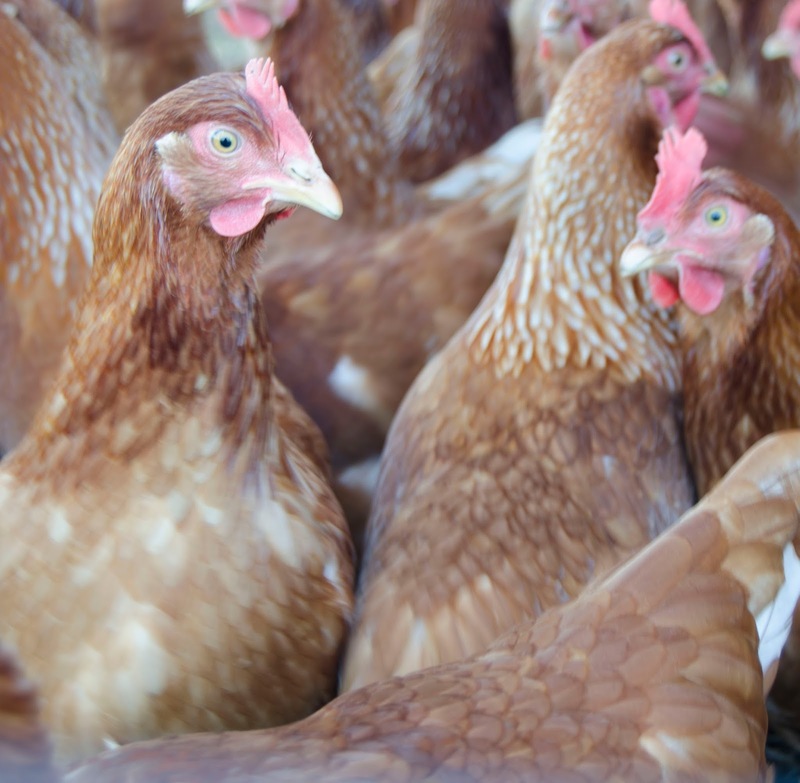 This natural feeding process means that the animals are healthier, and in turn, their meat and eggs are healthier and more nutritious to their consumers. "... the possibility that the long-term viability of alternative agriculture sectors may well depend upon their stabilization as niches, rather than their expansion." * see references at end. This dovetails nicely with Ron and Sheila's assertion that they would rather stop expansion of the farm rather that reach a point where their commitment to sustainability, food safety, ethics and humane treatment of their livestock is compromised. The slaughter facility on the farm was completed in 2015, and the livestock is processed every Tuesday. 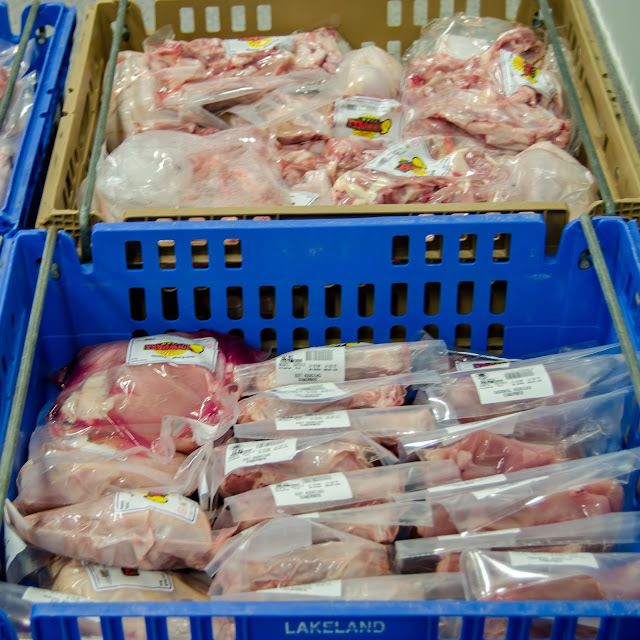 There is a certified food inspector on site for every kill, and the slaughterhouse not just meets provincial, but also federal regulations, if the farm chooses to go that way. Sheila and Ron both supervise every kill and ensure that the process moves from dirty (the kill) to clean (the processing) every single time. Their processed meat products are also fully organic with the use of organic spices. The products are also gluten-free, and free of chemicals and fillers. The Hamiltons' are almost evangelical in their commitment to their ethics when it comes to their farm. As they themselves put it they, "... strongly believe in the principals of organic, humane and sustainable farming. We believe that these principles help not only the environment but also human health. We want to give as many people as possible access to healthy clean food. We continue to learn and do everything we can to better the environment, the health of our animals and the health of our customers and family." You can read more about my real-time experience at the farm, with pictures, in this Twitter Moment, while we now move on to a classic Indian dish that tastes so much better with fresh chicken straight from Sunworks Farm. Ah! Chicken biriyani, that enduring Indian classic, that is much beloved by everyone who eats it. There are myriad versions of this ever popular dish, from easy one pot meals to complicated recipes that incorporate several steps. There are family recipes, secret recipes, celebrity ones, cheffy ones, authentic ones and so-not-authentic ones. There are secret ingredients galore. Each region in India will claim that its biriyani is the best. Each one will claim authenticity... everyone will boast that their recipe is the classic one. Everyone argues about the best way to make it, the essential spices, the method, the garnishes... its a definitely a culinary free for all when it comes to a biriyani. 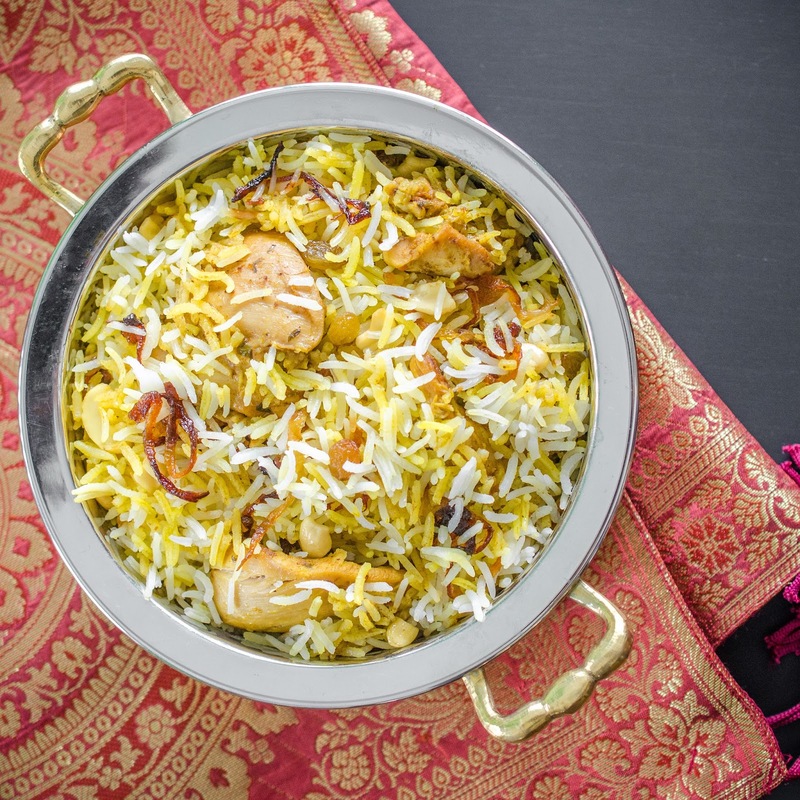 We even quibble on how its spelt, biriyani or the more colloquial, biryani. All this over a simple, elegant dish that combines flavours like no other and therefore deserves to be squabbled over! The biriyani is the ultimate dinner party dish, and you can even make it ahead and refrigerate it. It really needs no other accompaniment other than a simple raita, and its a meal that is savoured across India, from villages to palaces. The length of this recipe may put people off, but to be honest, once you've made it the first time, it takes next to no time to make it the second. The steps are all easy, and once you have layered the biriyani, all you have to do is tuck it into a low oven, and it sits there waiting for your guests. When I was growing up, mum didn't always have the time or the inclination to make biriyanis. And why would she, when we lived next door to NaZo aunty, the lady who made the best biriyanis that one ever tasted in our small town? NaZo aunty's biriyanis were famous. So fragrant, that everybody knew exactly when they were being made, as the smell wafted around our neighbourhood, getting tummies to rumble and mouths to water. NaZo wasn't aunty's real name, of course, her biriyani making business was named after her children Nazia and Zoheb, who were also our friends. Almost all of the special events in our house were graced by the presence of this delicious biriyani with a light raita on the side, and its no wonder that almost as soon as I smell biriyani my first memory is of NaZo aunty and her flat in Little Flower Apartments. This recipe, however, is one that I have developed after a lot of work and experimentation and criticisms from mom, dad, and my self-professed biriyani aficionado husband, Kay. There are four main inspirations behind this recipe. First, my mom's classic biriyani, that she made when she felt like cooking. Second, of course, NaZo aunty's biriyani. The third inspiration is from a stranger I met when attending a student festival in Mangalore. I was hanging out with this group of friends, and one of them had a local friend who boasted to us that his mom made the best biriyani on the coast. Of course, a claim such as this had to be verified, so off we tramped. This friend's name has been lost to my miserable memory, but the taste of his mother's biriyani certainly hasn't. She made us beef biriyani, the meat fall-off-the-bone tender, and every bite filled with flavour that zinged on our tongue. Her little wood stove was covered with a heavy cast iron pan, over which the clay biriyani pot sat, the rice and meat instead absorbing each others' flavours. When she opened that pot, we almost all died of food coma, the smells were just that good. I sat next to her the entire time, observing her method, and this recipe is also a homage to her spicing. The final inspiration comes from a biriyani shack under a bus flyover in Delhi. The restaurant was a dive, one which you would not venture into or for that matter, have heard of, unless you knew someone who knew a local who could take you there. It was actually located under a traffic flyover, with train tracks on the other side. The place only made biriyanis, with a tandoor oven tucked into the bit under the flyover. Each biriyani was individually made in a sealed earthenware pot. You ordered mutton or chicken, and the waiter brought you the entire pot, cracked it open and poured out the biriyani on a steel plate. The usual condiments were on the table – some meat gravy, a couple of sliced onions and cucumbers, a bowl of seasoned yogurt and a few quartered limes. And all we did then was dig into what could easily pass as the most incredible gourmet meal of our lives. And that's saying it all. Whisk together the yoghurt, spice mix, turmeric, salt and oil. Add the chicken pieces, rubbing in the marinade, and refrigerate for a couple hours, ideally overnight. In a large, heavy, oven-safe pot (ideally one with a lid), heat the oil and the ghee. Add the cinnamon, cloves, cardamom, bay leaves and star anise and fry for a minute, until the spices start to smell fragrant. Add the diced onion to the pot, and fry together for 5 - 7 minutes, until the onion starts to soften and go golden around the edges. Add the garlic, ginger and chilies to the onion, and fry together for another minute. Add the tomatoes, garam masala, cilantro and mint, and stir and cook everything together for 5 minutes, adding a little bit of salt to season. Add the marinated chicken and any remaining marinade to the pot. Turn down the heat to medium low and cook, covered, for 20 minutes, or until the chicken is just cooked through. Add a splash of water to the chicken if it looks too dry, but don't add too much water, as the chicken will release its juices as it cooks. Taste and season with plenty of salt. Place a pizza stone in the oven if you have one and preheat the oven to 450 F.
In the meantime, place the rice and a little salt in a large pot and cover with 6 cups of boiling water. Cover the pot and cook the rice on a low heat for 10 minutes, until it is about 3/4 of the way cooked, but not cooked all the way. Drain the rice. Layer the drained rice on top of the chicken. Place the saffron in the rosewater and drizzle it all over the rice. Sprinkle the caramelized onions, cashew nuts and raisins over the top. Cover the pot tightly with aluminium foil, and place the lid on top. Transfer the pot to the oven. After ten minutes, turn the heat down to 350 F, and leave the pot in the oven for an additional 15 minutes. Take the pot out of the oven, and gently fluff up the biriyani to serve. Whisk together the yoghurt, cumin and cayenne. Season to taste with the lemon juice and salt. Stir in the cucumber. Chill until ready to use. Disclosure: I was invited to visit Sunworks Farm. During my visit, along with a group of social media influencers and bloggers, I was treated to dinner at the farm, along with a bagful of Ron's famous chicken sausages. I was not offered any monetary compensation for this visit or for this post. The recipe is mine. The Role of Food Safety Risks in Facilitating Agricultural Transitions: Alternative Beef Production in Alberta, Canada. Available from: https://www.researchgate.net/publication/268108072_The_Role_of_Food_Safety_Risks_in_Facilitating_Agricultural_Transitions_Alternative_Beef_Production_in_Alberta_Canada [accessed Jun 30, 2017]. Adapting to food safety crises: Interpreting success and failure in the Canadian response to BSE. Available from: https://www.researchgate.net/publication/266082354_Adapting_to_food_safety_crises_Interpreting_success_and_failure_in_the_Canadian_response_to_BSE [accessed Jun 30, 2017]. Enjoyed reading this article and the ever so wonderful description of the "royal" biryani. I'm a big fan of Biryani and wold love to try this one too. I've also tasted NAzo aunty's biryani and wish she never stopped making it. Thanks for this recipe. Will try it out soon. Hi Michelle, Congratulations on the birth of Baby Sky. It's good to see you back on Tiffin Box. Your evocative blog posts have been missed. 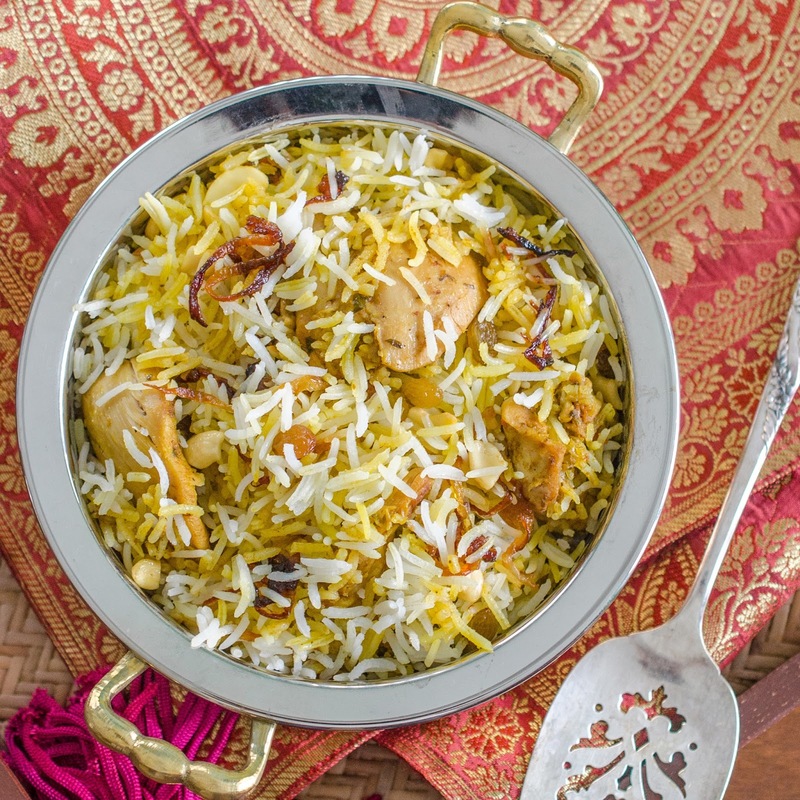 Can I sub the chicken with lamb/goat in this wonderful biryani recipe? Any tips with that? Thanks, he's a delight for sure :) The process for a beef/ lamb/ goat biriyani is slightly different. Message me at thetiffinbox@yahoo.com and I'll send you my recipe. I am planing to post it at some point, but not sure when lol. I made this tonight and it was so delicious!! Great recipe, thanks! !